This year's event raised £6000 for cancer charities. 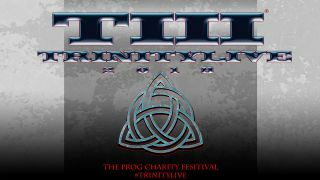 The Steve Rothery Band have been announced as headliners for next year’s Trinity III - The Prog Charity Festival. This year’s event will take place at The Islington Assembly Hall on 12 May, 2018. Both Touchstone and Ghost Community will appear on the bill, along with three other acts yet to be announced. Says Rothery, “I’m really looking forward to our concert supporting the third Trinity Prog charity event at the Islington Assembly Hall, it’s a great venue and it should be a fantastic day”. As with previous Trinity events, Trinity III is supported by Prog Magazine, and Editor Jerry Ewing will once again host the event, the raffle and charity auction. The event will follow the same format as this year’s event, with three bands performing in the afternoon and three in the evening. Tickets will be available soon. See the Prog website for a forthcoming announcement about Early Bird tickets.